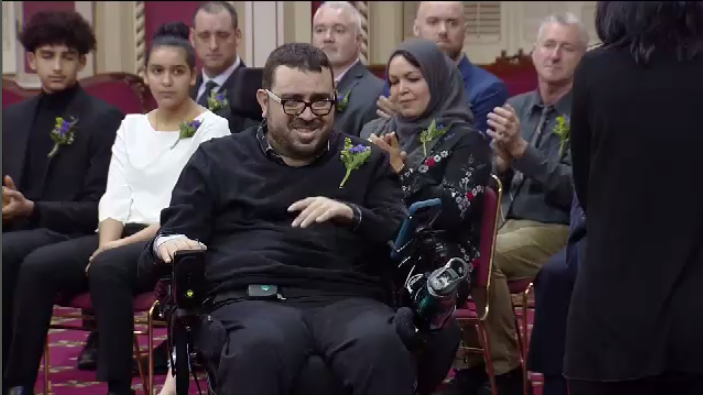 As a survivor of the 2017 Quebec City mosque attack was honoured by the province Monday for his bravery, he took Quebec Premier Francois Legault to task over comments downplaying the threat of Islamophobia. Speaking at the end of a caucus meeting last week, Legault told reporters that there is no Islamophobia in Quebec. His office later sought to clarify those comments, saying the premier meant to say that Islamophobia exists but it's not widespread. Aymen Derbali, who was among eight Quebecers receiving medals from the provincial government for their acts of courage, said he does not share Legault's point of view. "There is Islamophobia -- the proof is what happened at the mosque," he told reporters. Derbali, who was hit by seven bullets, put himself in the line of fire in an effort to distract the shooter. He was paralyzed from the waist down and now uses a wheelchair. Quebec Justice Minister Sonia LeBel, who praised the recipients' heroism as she handed out the awards, said she understood what the premier wanted to say. "There's no strong current that Quebecers can be considered as people who are Islamophobic, but there certainly is Islamophobia," she told reporters. During Monday's ceremony, a medal was also awarded to Azzedine Soufiane posthumously. 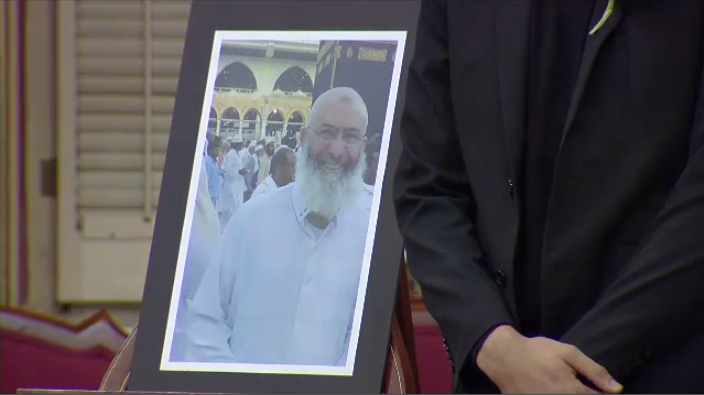 He was one of six men killed in the Jan 29, 2017 attack. 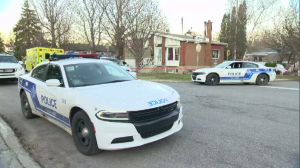 The 57-year-old Soufiane managed to pounce on the gunman and overpower him for several seconds. But he died when the shooter broke free and fired his weapon. The victim's nephew, Said Soufiane, said recognizing his uncle's act of courage shows the national assembly appreciated his efforts. "He tried to take action to avoid the massacre, but unfortunately it didn't work out as he had hoped," Soufiane told The Canadian Press. He was just five years younger than his uncle, and the two men grew up together in Morocco. They studied at the same university there before his uncle came to Quebec City to study at Universite Laval. His uncle eventually opened a Halal grocery store and butcher shop for the Muslim community. "He was a good person, a very good person, and he helped me get settled in Canada," said Soufiane, who lived for a time in Spain. He said his uncle encouraged him to come to Canada to escape racism in Europe. Alexandre Bissonnette, who is to be sentenced Friday for the mosque killings, pleaded guilty to six counts of first-degree murder and six counts of attempted murder. Noureddine Fard, who helped pull a man from a car that had stopped in a tunnel and was filling with smoke.